Not that long ago, the idea of walking into a store to buy legal marijuana seemed as much a fantasy as jet packs or getting trapped on an island with the both the girl next door and a movie star. Of course, that’s no longer the case. Dispensaries have quickly become a familiar site in many cities. Still, there are those who have not yet made a visit. Maybe they just now have a medical marijuana card and a prescription. Or maybe adult-use marijuana just became legal in their state. Whatever the case, visiting a marijuana dispensary does not need to be cause for nervousness or anxiety. They are, for the most part, pleasant and enjoyable places. But before you go, here are some straightforward tips to keep in mind that will help make the visit that much better. 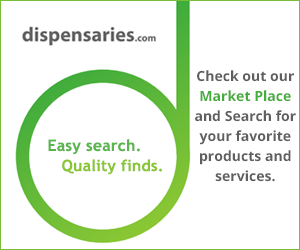 Find the dispensary in your area that looks the best to you. You can find reviews online. You might even want to drive by and get a feel for the place. Also, set a budget before you go. It’s easy to get inside the dispensary and spend more than you intended. Depending on the state and whether you are buying for medical or recreational use, you will need a medical marijuana card that can be obtained through the state. You must also be at least 21 years old and have a valid ID. You’ll need cash to make a purchase in most dispensaries. That’s because cannabis shop owners still typically cannot get banking services because marijuana is illegal at the federal level. Most operate on a cash-only basis. Yes, it’s hard to imagine not carrying your cell phone somewhere, but the dispensary needs to be treated like a movie theater. Put the cell away and don’t take it out. Part of the reason is that many dispensaries have a “no photo” policy for security reasons. Another is that chatting on your phone is distracting and slows everything down. Another etiquette rule: don’t crowd people. That’s true everywhere you go outside of mosh pits and dance floors, but it is especially true in dispensaries. People talking to the budtender could be discussing personal medical information. They’d rather you did not hear it. These days, you can find tons of information on the kinds of marijuana strains available. First, you have to know what you want. Do you want energy from your cannabis or relaxation? Are you looking for a mild high or something more substantial? Research the strains and decide what is best for you. Budtenders are there for a reason. They have a lot of knowledge about what they are selling. They can inform potential buyers on the details about each strain that they didn’t pick up through their own research. However, it’s best not to come in without any idea of what you want, otherwise you will waste a lot of the budtender’s time asking basic questions. Budtenders are there to help customers and ring up your sale. They have zero control over the price of cannabis. Dispensaries are required to track all cannabis from seed to sale. This way the state can track all marijuana transactions and ensure none has been diverted out of the regulated stream. This is a huge deal for dispensaries, so don’t try to haggle a little bit extra or a slightly better price. It’s against the law in most states to have an open container of marijuana on the premises of a dispensary. Those rules can be more flexible with medical marijuana. But with adult-use marijuana, it’s a no-go. This should go without saying, but states do not allow consumption of marijuana in a public place. This includes dispensaries. And while loitering is not illegal, it will make everyone (especially security) much more at ease if you do not. Just keeping to these simple tips can make going to a dispensary an enjoyable experience. It’s nothing to be nervous about. Most dispensaries work hard to make visits to their shop very pleasant. Have fun, relax and just enjoy the experience!